Good Evening, thanks for coming and it’s a pleasure to be amongst energized PLPs as we make the SS PLP battle ready. ARE YOU TIRED OF BEING LIED TO AND DISRESPECTED LIKE BEING CALLED CORRUPT? ARE YOU TIRED OF DESCRIPTIONS OF PROBLEMS WITHOUT PRESCRIPTIONS? ARE YOU TIRED OF NO BEDS, NO MEDS AND BODIES PILING UP AT THE MORGUE? ARE YOU TIRED OF THE EXCESSIVE BORROWINGS WHEN SMALL CONTRACTORS AND POLICE RESERVES CANNOT GET PAID? ARE YOU TIRED OF THE MASS FIRINGS AND INCREASED SUFFERING? IF ENOUGH IS ENOUGH, THEN LET ME HEAR YOU! With no plan, no policy, no vision and totally bankrupt of ideas, one year later the chorus: “If I only knew” is setting in as Bahamians perish. They have delivered No real investment and offer No new direction for the Bahamian people. They have admitted to recklessly adding to the level of joblessness. They have flip flopped on almost every major PLP policy they opposed while in opposition. They claimed it was the People’s Time, but before ballots could be counted, they began firing Bahamians. From BAMSI to Bahamasair - they fired! From Urban Renewal to NHI – they fired! From Social Services to NIB – they fired! From the hill to the valley – they fired! The FNM was so eager to fire, they even began firing, victimizing and abusing people hired by the PLP but who voted for the FNM! Flexing power like a mad man, Hubert Minnis - against sound advice - began abusing that power by directing agencies of the state to arrest and detain innocent Bahamians. BAIC is a prime example. Now Bahamian tax payers may have to pay millions of dollars to those falsely arrested. Drunk with power, he fired thousands of Bahamians throughout the country, including the sole breadwinners of families. Jeffery Lloyd – the Minister for Education recently told the press he was “Happy to Report” how he fired 200 minimum wage workers in his ministry. In that same week, Marvin Dames, the Minister for National Security, attempted to fire [without any notice] 29 Prison Officers. Only after public outcry did he pull back. Now, Duane “Heartless” Sands is a real character in healthcare these days. One day he tells us the hospitals and clinics have no meds! The next day he says the hospitals have no beds. No Ventilator machines for the babies. None for the Intensive care section. No meds for HIV patients. Last week he came out to complain that bodies are piling up in the morgue. Also last week he faced a sickout by nurses. And, to date, the Minister has yet to have a sit down face-to-face with nurses, who have already filed a strike action with the Department of Labour. And just this week “heartless” Sands on national TV threatened to fire some 100 junior doctors at the hospital, telling them to work as taxi drivers and hotel maids because they could not cut it as physicians. Does all of this sound to you like It’s The People’s Time? Does Sands appear willing to fix healthcare in the country? The FNM Government is not serious! We are witnessing a disaster unfolding in healthcare - with two doctors at the helm, and no solutions in sight. In February when our Member of Parliament for Englerston, Hon. Glenys Hanna Martin made the charge of political victimization by the FNM, your entire PLP voice was victimized and silenced in the Parliament. The Minnis Government sought to abuse the rules of the House and Chair to wipe from the record the fact that two hard working, single Bahamian mothers, who were airport managers in Eleuthera, were fired for political reasons. Around the same time, Party Chairman, Senator Mitchell, and I stood outside the offices of BAIC and watched as permanent and pensionable Bahamians were being sent home - for political reasons. Tonight, I bring you evidence of their callous actions against Bahamians! I charge Renward Wells tonight: guilty of Political Victimization. Here is a letter from Minister Wells sent to the then-Chairman of BAIC, the MP for MICAL, Miriam Emmanuel. In his letter dated 15th November, 2017 Minister Wells ordered that 16 employees of BAIC be fired forthwith at the next sitting of the board. And here is a response dated December 13th, 2017 in which Emmanuel agrees with the Minister’s request, confirming that a resolution was passed by the Board to carry out the instructions to fire Bahamians. No reasons were given for their terminations. We know that these decisions are being directed from the Cable Beach and are therefore political! But while this uncaring Government is laying off innocent, decent and hardworking Bahamians every week, look at what has happened at Bahamasair in Bimini. An employee, dismissed from NIB back in 2010 for theft and ordered by a court to repay those stolen funds, has been hired in a senior position at Bahamasair in Bimini! But she is related to a FNM politician. And the FNM claims they are fighting corruption? Fighting corruption, my foot! THE FNM IS CULTIVATING CORRUPTION! BAMSI, an academic institution designed to promote food security in the country, is now in trouble. I am now advised that by directives, trained Bahamian professionals are being terminated and considerations are being made to hire a foreign national. The present Director is an accomplished Bahamian doctor, professor and research scientist, who returned home to Andros to make her contribution to develop BAMSI. You recall that the FNM came to power claiming that they were about fighting crime and corruption. But when their torchbearer was caught operating what appeared to be a Ponzi scheme in South Beach, cheating thousands of Bahamians, guess what happened? Nothing! That torchbearer to this day remains untouched, never asked by authorities to account for her corrupt practices and crooked ways! She walks around town freely, while justice is denied to her victims. The FNM ain’t fighting corruption – The FNM is protecting the CORRUPT! 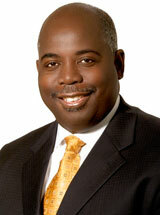 And then we have Michael Foulkes, the personality now in charge of BAIC. Why did they move him from The Student Loan Programme ‘eh’? We hear little now about a matter that happened in the United States of America. Prime Minister Minnis is silent about Michael. And I think I know why. Michael Foulkes has said very little about the revelations coming out of the Dade County Courthouse. Does Minnis still believe in his ‘Seven Principles of Public Life’? Remove your cloud of secrecy Prime Minister – and while at it - and in the spirit of accountability - tell us why the Member for Centreville. Reece Chipman was fired from the Antiquities Monuments and Museums Corporation? Is it true that stealing went down at that Corporation? And so …by whom? One year in and you cannot get a response from this crew. It’s the People’s time they say, but – it more looks like Family and Lovers time, if ya ask me. Information brought to my desk confirms that a number of government agencies, including the Department of Statistics, have been directed to purchase gas for their assigned vehicles from Minnis Service Station on Market Street. I am advised the Prime Minister’s relatives own the station. Is this the same Prime Minister Minnis who jets around the world calling Bahamians corrupt? I also understand another relative of the Prime Minister on Grand Bahama has been loaded up with contract work from the Ministry of Education. Numerous Contracts, while small contractors either cannot get work, or get paid for work already done for the government. I also understand that the Prime Minister has hired another brother to work in the public sector…IF YOU ARE A MINNIS, IT IS YOUR TIME!!!! Information has come to me that another minister hired his relative to decorate his office at tax payers’ expense. Does that sound like the FNM is working for the people? Sounds like they working for their family, if you ask me. Recently, a complaint was lodged by commuters in the South Westridge corridor of New Providence of an abrupt closure of Munnings Road. Minister Bannister has told the press that residents have requested the closure. If you follow the reasoning given by Bannister he should close every road in New Providence. The road closure is causing a traffic nightmare for morning and evening commuters along Gladstone and the airport road. Perhaps the Prime Minister should explain the real reason for the road closure. Why is Munnings Road closed to the annoyance of the public, Minnis? Who asked you to close the road? We have come to remind the FNM that NO LIE LASTS FOREVER! - Minnis claimed in London that $500 million is lost in the Bahamas through corruption. That was a LIE! - He said, when elected, Bahamar would get a different owner - That was a LIE! - Minnis said that the Vat Money was stolen – and - That was a LIE! - The FNM made the claim that it was the people’s time – and - That was a LIE! - Minnis told voters he would deliver Free Education at University of The Bahamas – and - That was a LIE! - He promised to reduce taxes on Bread Basket Items – and - That was a LIE! - The FNM Promised to deliver Tax Free Zones in the inner city – and - That was a LIE! - Minnis said at Government House there will be no victimization by his government - and - That was a LIE! - He said he would kill the Spy Bill – and we know - That was a LIE! - Minnis said he would carry out hangings – and That was a LIE! - He promised to repeal VAT – and – That was a LIE! - They said the FNM would disclose to the public all travel expenses on these ‘gussiemae’ trips – now we all know - That too was a big LIE! I gave them a “U” for unsatisfactory after one year in office. But,…. I would be remiss if I were too kind to them. There are some things this Minnis–led FNM deserves high marks for. For lying - I give the FNM Government an A+ grade! And for their failure to be honest, open and transparent to the Bahamian People - I don’t know about you – but I give them an A+. In my assessment the Minnis-led government has been a danger to the Rule of Law. They are unprincipled. And their exercises of cronyism and self-dealing have resulted in disaster for the Bahamian people. The Bahamian people have quickly learned that, like in the OBAN Energies debacle, Hubert Minnis and the FNM are CORRUPT! As for the Oban deal all I want to say is this: Who is the mystery man or woman of OBAN Energies? There is a company called Clean Marine. I want to know whether the mystery man or woman is associated with Clean Marine and what Clean Marine’s role might be in this Oban deal. And so PLPs as I bid you good evening let us stand strong. Let us stand firm and diligent. Let us rise up to Do the Work that is before us. For in the end, all of us will be measured not by what we say, or even what we believe, but by what we do. ….now we have a new opportunity to realize those values. It is an honor to lead this great party, and to know that many of our finest days and greatest achievements are still to come. God Bless the Commonwealth of the Bahamas!